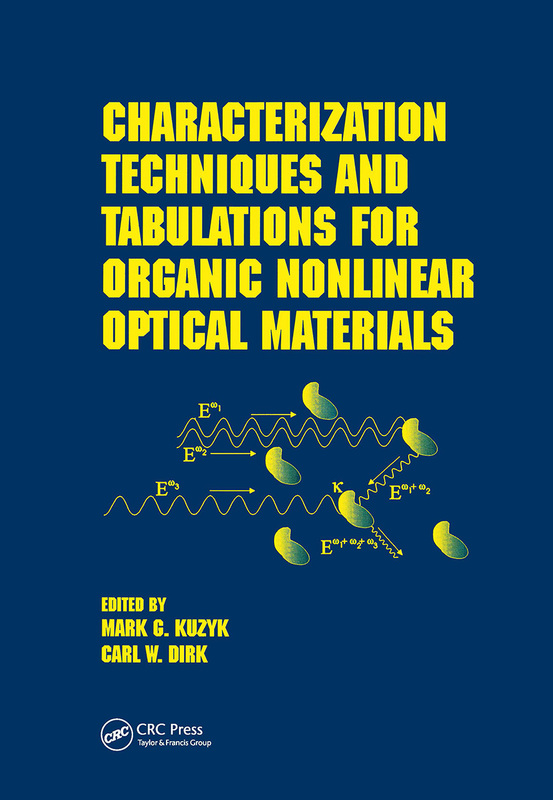 "Furnishes table of nonlinear optical properties of organic substances as well as experimental procedures for measuring the nonlinearity of the elements tabulated, including composite materials-offering support for scientists and engineers involved in characterizing, optimizing, and producing materials for manufacturing optical devices." "This book serves especially interdisciplinary scientists. The content, along with the references, serves to bring outsiders up to speed in the field of organic nonlinear optics, as well as to help researchers keep abreast of measurements and techniques. " Introduction - conventions and standards for nonlinear optical processes; practical computational approaches to molecular properties; relationship between the molecular and bulk response; linear optics; electro-optic effect; second harmonic generation; two-photon absorption; z-scan; four-wave mixing tables and measurement techniques; third harmonic generation.